One man had a revolutionary idea, a plan so all-encompassing it could tackle each and every one of the social issues at once: An entirely new experimental city, built from scratch with the latest technology, entirely free of pollution and waste, and home to a community of life-long learners. The Minnesota Experimental City and its original creator, Athelstan Spilhaus, are the subjects of a new documentary directed by Chad Freidrichs of Unicorn Stencil Documentary Films. The Experimental City tells the story of the tremendous rise and abrupt fall of an urban vision that nearly came to fruition. At one point, the Minnesota Experimental City had the support of NASA engineers, Civil Rights leaders, media moguls, famed architect Buckminster Fuller and even vice president Hubert Humphrey. Many were drawn to the plan by Spilhaus’ background as well as his rhapsodic conviction for the necessity of such a city. But the Modern Utopia must not be static but kinetic, must shape not as a permanent state but as a hopeful stage, leading to a long ascent of stages. Nowadays we do not resist and overcome the great stream of things, but rather float upon it. We build now not citadels, but ships of state. 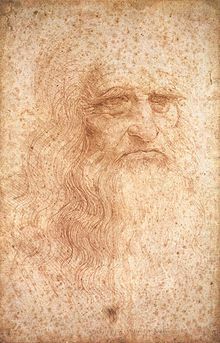 As we’re careful what we wish for, we might send polymathic birthday greetings to the painter, sculptor, architect, musician, mathematician, engineer, inventor, physicist, chemist, anatomist, botanist, geologist, cartographer, and writer– the archetypical Renaissance Man– Leonardo da Vinci. Quite possibly the greatest genius of the last Millennium, he was born on this date in 1452.